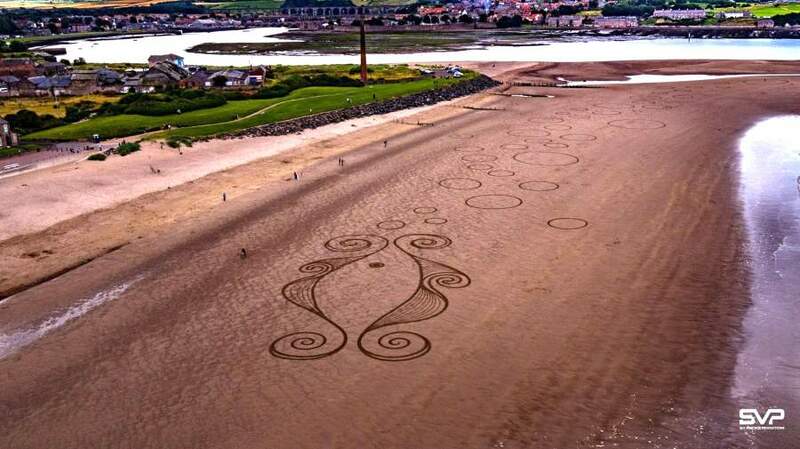 Sean Corcoran was recently commissioned to create sand art for the Spittal Seaside Festival in Northumberland, England. He kept an online diary of the assignment by posting regular updates to social media. 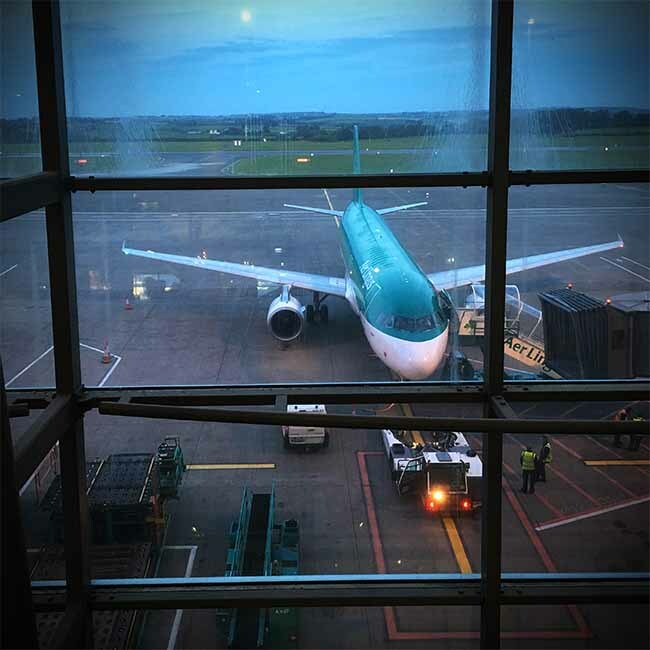 I left home at 3am, drove to Cork airport and parked in the Red Express Carpark. I checked my rake, stick and fork into oversized luggage. I went through security and am now waiting for a flight to Edinburgh. From there I will take a bus, a train and then a taxi to reach the seaside town of Spittal in Northumberland, England, near the Scotish border. Low tide is at 3.06pm today so I hope to have created my first sand art drawing in the UK by then. I have six days of drawings to do including participating in the Spittal Seaside Festival as one of their guest artists. I’ll be staying at Mau Watkins house, the back of which is on Main Street and the front of which is on the mile long Promenade! Mau is the chairperson of the Spittal Improvement Trust. 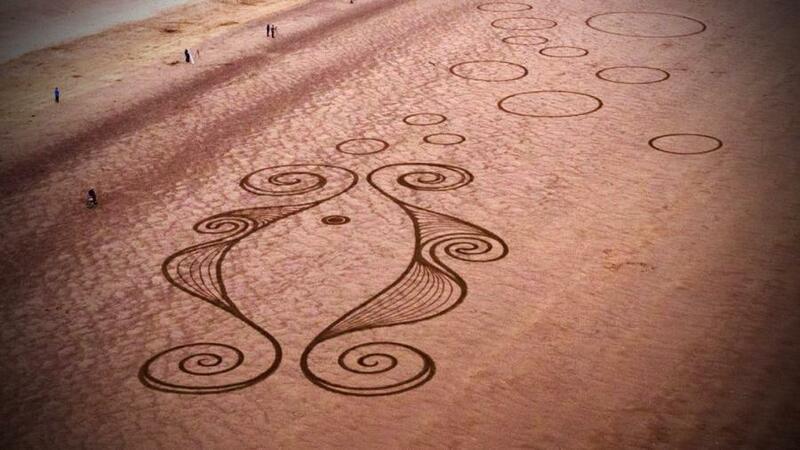 Mike Greener is one of the festival organisers and he has a drone operator lined up to record my sand art. Berwick upon Tweed is just across the river from Spittal. It’s the most northerly town in England. 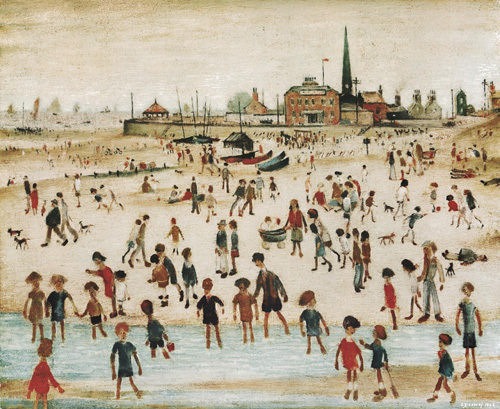 The artist LS Lowry painted many of his matchstick people in this area. It’s a very historic region and this coastline is designated as an Area of Outstanding Natural Beauty (an AONB). I’m both excited and apprehensive about the days ahead as I intend to create my best sand art to date and I am so happy that I can draw what I like without being given a brief by the festival committee. Stay tuned! The Spittal Shield. My first sand art in the UK. Northumberland is stunning and the people here have been so nice to me and they’re very curious about the sand art. I drew this in the rain and high winds today but the forecast is improving as the weekend approaches. The Spittal Seaside Festival kicks off tomorrow night. So it’s Day 2 of my 6 day sand art assignment in the UK. I feel very proud of the support I am receiving from all my friends, family and fans. Yesterday involved a grueling (but enjoyable) day of travel followed by a race against the tide in the wind and rain on Spittal Beach. I’m quite happy with my 1st drawing and delighted with the response to it. Greetings to all my new Facebook friends from Scotland and England. Low tide is at 4.17pm today so I’m looking forward to creating my 2nd drawing. The sand here is different to anything I’ve ever worked on before and the tides are very fast and strong. As yesterday I have absolutely no idea what I’m going to draw today! Thank you all for the wonderful suggestions though and for the endless suggestions of other coastlines around the world that would be perfect for my artworks. This support is very important to me as I do intend to accept further international commissions, subject of course to the continued support of my family. Thank you Miranda for encouraging me to do this with everything else we have going on! The above photo shows this mornings view from my bedroom window here on the prom in Spittal, Northumberland. Watch this space! 10am; It’s Saturday and Day 3! The sun is shining but it’s still windy. Hoping for some dramatic clouds today and for the wind to calm down enough for Sky Vantage Productions to fly their drone. The festival kicked off last night with live music in a beautiful big marquee on the prom. Everything starts in earnest from 11am this morning. Sounds like good old fashioned seaside fun! As usual I haven’t a notion what I’m going to draw today or where I’m going to draw it. I’ll have to wait and see what last night’s tide has done to the beach. It changed so much over the first 2 days, different sand in different locations with an influence from the river as well as the sea. The rock formations here are bizarre. Orange rocks! I had to take off my sunglasses to be sure I wasn’t seeing things. The gravel on the shore here has beautiful rounded quartz and glass. Irresistible! Looking out last night across the North Sea towards Norway I saw something I’d never seen before; A Night Rainbow! Seriously, a westerly wind carried a heavy mist out to sea and an arc of light appeared. No colours, just white, wonderful to witness, must look it up on google. Anyway if any of you are coming to the seaside today do please say hello, if you find me that is! 10am; Ladies and Gentlemen I have something very special lined up for Day 4 of my assignment at the Spittal Seaside Festival. At 6pm this evening I aim to have a sand art drawing completed in front of Saint Helens Terrace. At which point the contemporary dancer Laura Jane Jenkins will respond to the work with an impromptu dance performance. You are very welcome to attend but please be aware that Sky Vantage Productions hope to film the performance from a drone. So if this is happening (wind permitting) you will be asked to keep back at a safe distance. I’m super excited about this as Laura Jane is a fantastic dancer. She was born and bred in Berwick upon Tweed and her profession has brought her all around the UK for the past 16 years. She currently lives in Newcastle with her young family. 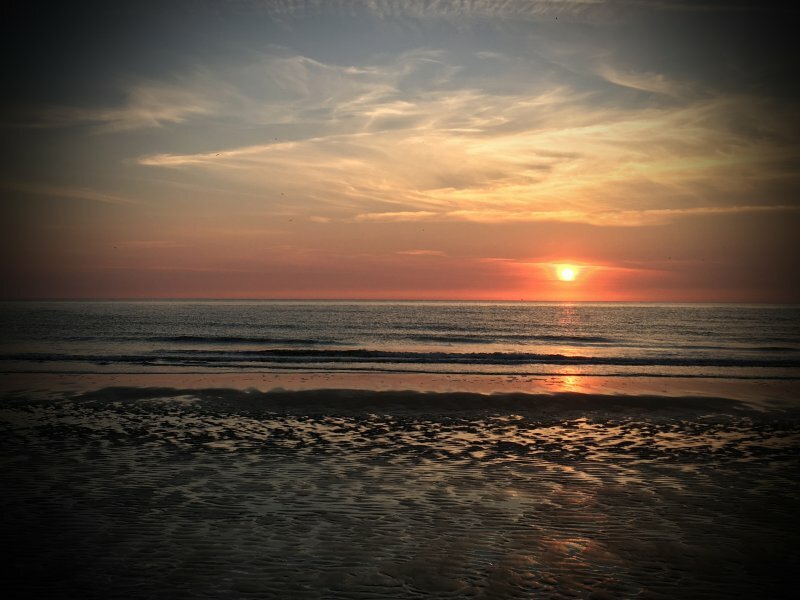 Laura Jane has told me that she has a strong connection to the coast and is excited about performing on her home turf. I had the pleasure of working with her on a project in Ireland when she came with a Welsh crew headed by Cheryl Beer to perform at The Promenade Festival in Tramore. 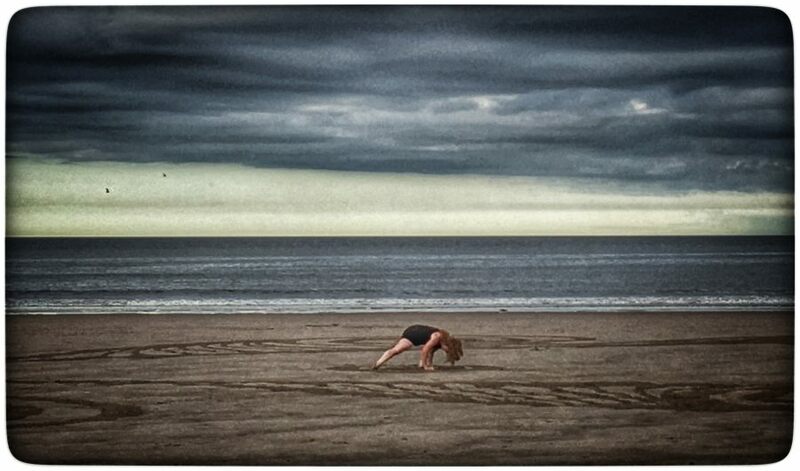 See you on the sand in Spittal! Well it’s Day 5 and I’m still on the sand! The Spittal Seaside Festival has been packed up and put away for another year but I still have a few more drawings to do. Yesterday went great. Laura Jane Jenkin’s gave a wonderful solo dance performance in response to my sand art. It was very well received by a patient audience as it was filmed by 4 separate film crews and a drone! Standby for some short films of the work that will be released soon. I have lots of people to thank! Tomorrow I plan to do an early morning drawing to be completed by 8am before I depart for Edinburgh airport on my return journey to Ireland. Low tide this evening is at 7.30pm so there will be plenty of traces of my work visible by then. It’s a little thank you to Sky Vantage Productions for all their help recording the sand art. Thanks guys. 5.30am; Good morning Spittal, my final drawing shall be under the cliff at the south end of the beach by 8am. Thank you. 8.00am; The Spittal Salmon. Currently viewable on Hud’s Head at the southern end of Spittal Beach. This 400 foot salmon is a tribute to the salmon fishing communities that existed in this exact location for 100’s of years. This is the final drawing of my six day assignment in Northumberland. Thank you all for your support and encouragement, I’ve had a wonderful time in your beautiful part of the world. I’ll be back! To see more of my sand art please have a look HERE. This entry was posted in Beach Art, Sand Art, Sean Corcoran and tagged art, artist, Artists, Beach Art, Berwick upon Tweed, cliffs, colour, Contemporary, Dance, drawing, environmental art, Event, film, film production, L.S Lowry, Landscape, Laura Jane Jenkins, Lighthouse Films, Moonbow, Northumberland, performance, Salmon, Sand art, Sean Corcoran, seascape, Sky Vantage Productions, Spittal, Spittal Seaside Festival. Bookmark the permalink.